The eLearning designer will work collaboratively with staff and subject-matter experts to develop interactive, multimedia activities, structure learning activities and create visual aids for blended, and online learning. We are looking for experienced individuals with knowledge of e-Learning and blended learning instructional design, multimedia development, and classroom training delivery. The successful candidate will be well versed in multimedia technology, project management, troubleshooting, technical writing, and course development and have a proven track record and demonstrated experience. This candidate must be able to work both independently and on a team. Bachelor’s Degree (or equivalent) in Instructional Design/Technology, Learning and Development, Education or a closely related field. Master’s degree is preferred. At least three years of experience as an eLearning instructional designer, including primary responsibilities for collaborating with subject-matter experts and designing and developing eLearning modules. Experience using eLearning development tools; Articulate Storyline and Captivate are preferred. Experience using a Learning Management System (LMS), Litmos preferred. Proficient in Microsoft Word, PowerPoint, Office 365, OneDrive and SharePoint. Ability to communicate effectively, learn, and work independently. Ability to read and effectively utilize training manuals and other written materials. 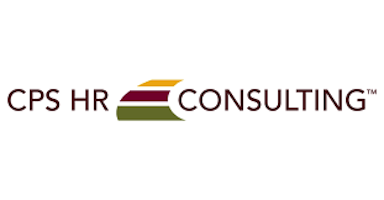 CPS HR Consulting is a Joint Powers Authority public agency providing consulting services to government agencies and non-profit organizations across the United States. We bring expertise from both the public and private sectors to help our clients in many aspects of human capital management. The Training Center at CPS HR Consulting offers a comprehensive range of career development courses for both organizations and individuals. Our courses are focused on the skills and knowledge that employees need to succeed in today’s public sector workplace. Applications will be accepted through August 8, 2018.